In order to drive a particular type of motor vehicle, drivers must carry a valid and current licence issued by the Driver and Vehicle Agency (DVA). Having a driving licence entitles drivers to safely and legally operate the motor vehicle they are qualified to drive. Specific types or categories of licences are required to drive certain motorised vehicles, including cars, motorcycles and mopeds. There are three categories of moped driving licences. Each one is catered to the size and maximum speed of the vehicle. The minimum age to hold a moped licence is 16. Category P licences allow operators to drive a two-wheeled vehicle with an engine size of no more than 50 cc, if the moped is propelled by an internal combustion engine. This category of licence is also suitable for mopeds that are designed for speeds of between 45 km/h and 50 km/h. A Category AM licence allows drivers to operate a two-wheeled vehicle designed for maximum speeds of between 25 km/h and 45 km/h. Category AM licences also allow drivers to operate a light quad bike with an unladen mass of up to 350 kilograms that is designed for speeds of between 25 km/h and 45 km/h. The Category Q licence allows drivers to operate two-wheeled vehicles capable of speeds of no more than 25 km/h. To operate mopeds with this type of licence, the vehicle must have a maximum engine size of 50 cc if it is powered by an internal combustion engine. Motorcycle licences entitle holders to operate specific types of motorbikes, depending on their size and weight. A Category A1 licence allows drivers to operate a motorcycle with an engine size of up to 125 cc with a power output of up to 11 kW. Motorbikes must also have a power-to-weight ratio of 0.1 kW/kg or less. The minimum age to obtain an A1 licence is 17. A Category A2 licence will allow the operation of a motorbike with a power output of up to 35 kW and a power-to-weight ratio of 0.2 kW/kg or less. The minimum age to obtain an A2 licence is 19. Category A licences are used for larger motorbikes with a power output of over 35 KW or a power-to-weight ratio 0.2 kW/kg and over. The minimum age to apply for an A licence is 24. The Category A1 licence is also suitable for a motor tricycle with a power output of 15 kW or less. Similarly, a Category A licence may be used to operate larger motor tricycles with a power output of over 15 kW. The Category B1 licence entitles drivers to legally operate lightweight four-wheeled vehicles, such as quad bikes and light motor vehicles. Motor vehicles for Category B1 licence-holders must be 400 kg or less unladen. To obtain a B1 licence, a driver must be at least 17 years of age. If vehicles are designed for carrying goods, a Category B licence is required. A B licence entitles vehicle and quad bike operators to drive a four-wheeled vehicles weighting up to 550 kg. Category B, B auto, and B+E licences allow drivers to operate most cars. The minimum age to hold any type of B licence is 17. Category B licences are required to operate motor vehicles with a maximum authorised mass (MAM) of up to 3,500 kg. This category of licence is suitable for vehicles with up to 8 passenger seats. Holders may also operate motor vehicles with a trailer weighting up to 750 kg. To operate an automatic vehicle, drivers must be issued a Category B auto licence. Trailers may be used when holding a B licence if the total combined weight of the vehicle and trailer does not exceed 3,500 kg and if the loaded trailer does not weight more than the unladen vehicle. In order to operate a category B vehicle with a larger or heavier trailer, drivers must obtain a Category B+E licence. This licence allows drivers to operate a car and trailer with a combined weight of over 3,500 kg. Category D1 licences allow operators to drive medium-sized motor vehicles, such as a minibus. The D1 licence entitles holders to drive a vehicle with up to 16 passenger seats with a maximum length of 8 metres. D1 licences also allow holders to operate a minibus with a trailer weighting up to 750 kg. The minimum age to hold a D1 licence is 21. A Category D1+E licence allows drivers to operate a medium-sized vehicle attached to a trailer weighting over 750 kg. When the trailer is fully loaded, it must not weight more than the vehicle. In addition, the combined total weight of the vehicle and the trailer must not be more than 12,000 kg. 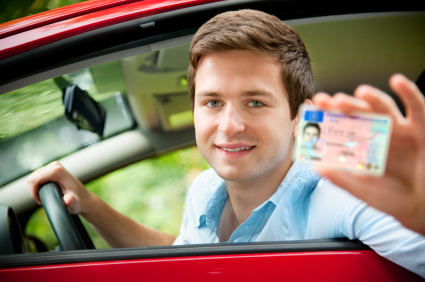 In order to qualify for a D1+E licence, a driver must be at least 21 years of age.